We have had a great summer so far not many hot hot days – but I see it is going to be above 90 the next few days. 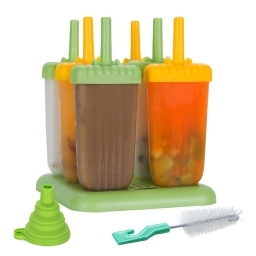 I am happy I have this Popsicle Mold set from #Lebice. Not only does the set come with the molds but with a funnel, brush to clean it and recipes. I like to make my own Popsicle because I can put in them what I like. One of my favorite is frozen juices with fruit in them – like cranberry juice with raspberries or blueberries. They are so refreshing! I like having the funnel so that I can make my Popsicle with no mess and great if the kids are helping you. It’s great having the kids in the kitchen making something healthy and something they will love because they helped make them. The recipe book is good if you can’t think of something. I just ask the kids what they like and we add it to juice and freeze. The Popsicle are a nice size. The molds are are BPA Free, dishwasher safe, and FDA approved. If you would like to buy your own set you can buy them below from Amazon.com. Don’t you hate getting older? My birthday is coming up and I will be 53! I don’t know where the years have gone. One of the things about getting older that we all hate is how our face and skin look. Recently I started using New York Biology Retinol Moisturizer w Hyaluronic #newyorkbiology. The Retinol cream uses all natural antioxidants like green tea and wheat germ that help to prevent damage due to chemicals and environmental exposure. I like that the cream helps fight wrinkles and dark spots that you get when you are older. New York Biology Retinol will increases collagen production and may be involved in building elastin, both of which help to make your skin firm and smooth. 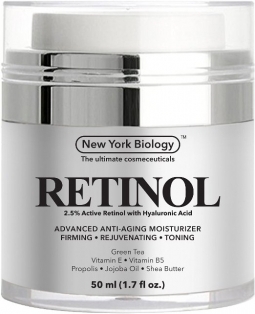 I use this Retinol Moisturizer with Hyaluronic twice a day – both in the morning and at night. You don’t need much and my skin loves it! It soaks up the product and leaves my skin soft feeling. It doesn’t look shiny or feel greasy. 8. Buy a luxurious bathrobe. Admit it those robes found at spas and 5 star hotels are comfortable, really really, really comfortable. It’s amazing how something so simple can really make you feel so beautiful. “Adding a touch of luxury to your life is a kind way to pamper yourself. Women of all shapes and sizes have body issues so if it feels great to wrap your body in a plush terry cloth robe go for it!, offers Dr. Hafeez. 9. Go back to bedtime. When we sleep our body repairs itself. When we are overworked, over worried and sleep deprived our bodies don’t have the time to regenerate. This leads to a slower metabolism, poor organ function and sallow, wrinkled skin. “As we age we need a set bedtime and wake-time. The sleep cycle is pivotal for cellular turnover. New mothers often see more wrinkles and a difference in skin texture and radiance because they are awakened several times during the night,” offers Dr. Calapai. Ideally adults need between 6 and 8 hours of sleep each night. 10. Get those earlobes repaired! From the most simple ear lobe repair for a torn ear lobe, to the more complex repair of ear gauges, you can now have your ear lobe back. Dr. Papantoniou offers this procedure in office, with local anesthesia and stitches that are dissolvable. “The ear heals very quickly and scars are minimal. The ear can be re-pierced 2-3 months after having the repair surgery,” she explains. 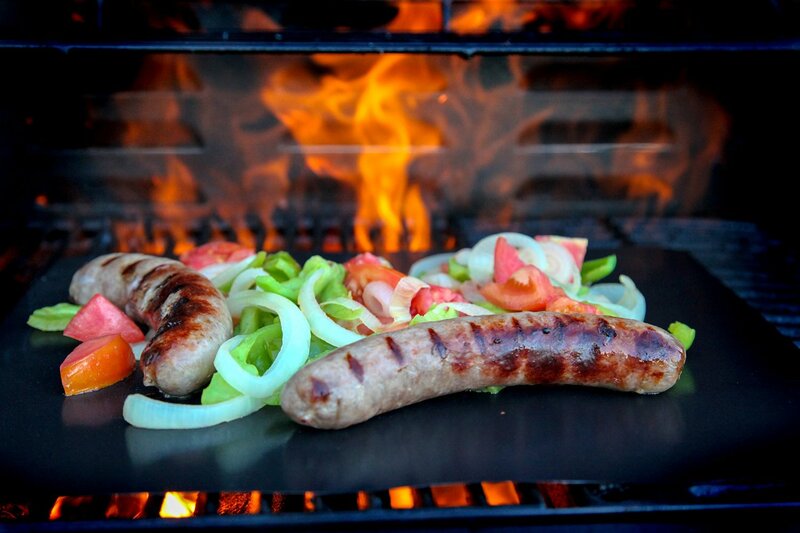 How many of these great types will you try in August? There are a number that I want to do. Regardless of where you are on your beauty journey of life know that how we feel matters most and feeling good from the inside always makes the outside more healthy, vibrant and beautiful. Veganism is something that has boomed in popularity in recent years. This is primarily due to many of us wanting to be kinder to the environment and more compassionate towards animals. Vegan’s make the conscious decision not to consume any animal based products. This includes meat, fish, eggs and dairy products. It can be an incredibly rewarding lifestyle change. But it can take some getting used to in the beginning. Especially if you enjoy baking. Many people think that because vegans are not able to eat eggs or dairy, they are unable to enjoy the pleasure of baking. But this is a very incorrect misconception. While eggs, milk and butter are all crucial elements in baking, there are ways to bake without them. This might sound tricky, but it’s a lot easier than you probably realise. You just need to know what to replace them with. So if you’ve recently become a vegan and love to bake, this vegan baking guide is for you. Eggs are used in baking to bind the ingredients together and to help them rise. You can also add more eggs to change the density of the mixture depending on what you are making. 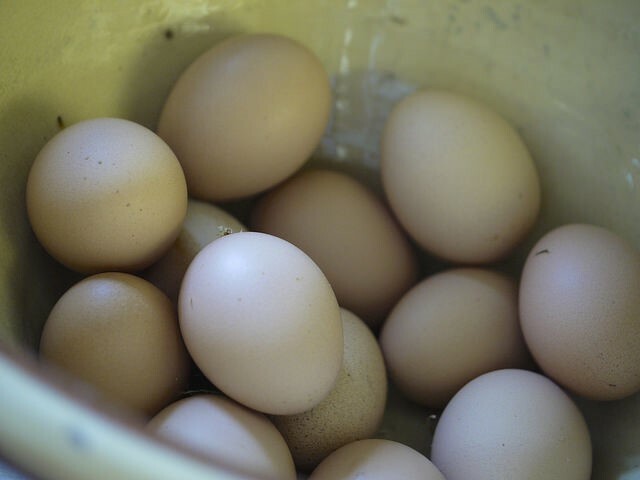 As you are unable to eat eggs, it can be tempting to just leave them out and remove them from your recipe. But this can leave you with a dessert that falls apart easily or looks flat when it comes out of the oven. To avoid this from happening, you need to use an egg alternative to get a better outcome. Here are some of the most popular options. Surprisingly, bananas are one of the most frequently used egg alternatives. They create the same effect as the eggs and help to bind your ingredients. They can also provide additional moisture to stop your bakes being too dry. You need to keep in mind that as well as binding, the bananas will also provide additional flavour. So make sure you are able to mask the flavour or use it to your advantage. Add one mashed banana for every egg needed in the recipe. Baking soda has an extensive range of uses and replacing eggs is one of them. This is a particularly effective method if you want your bakes to have a light and fluffy texture. Plus it’s something you probably already have in your kitchen. For each egg, you need to use, add one teaspoon of baking soda and one teaspoon of vinegar. Another option is to add two teaspoons of baking soda to two tablespoons of warm water per egg. Pea Protein is a plant-based ingredient that acts as a binding agent and is a great egg substitute. You can buy it in powdered form, in both flavoured and unflavored varieties. You can then add it straight into your recipe. Another option you have is to use a product that has pea protein included. For example, food brand Hampton Creek recommends using their Just Mayo product to bake chocolate cakes. This egg-free mayonnaise is created with pea protein, and you only need 1 and a quarter cups. To find out more about the pea protein used by Hampton Creek, visit their website. Now you know how to replace the eggs in your baking recipes, it’s time to learn how to replace your dairy-based ingredients. 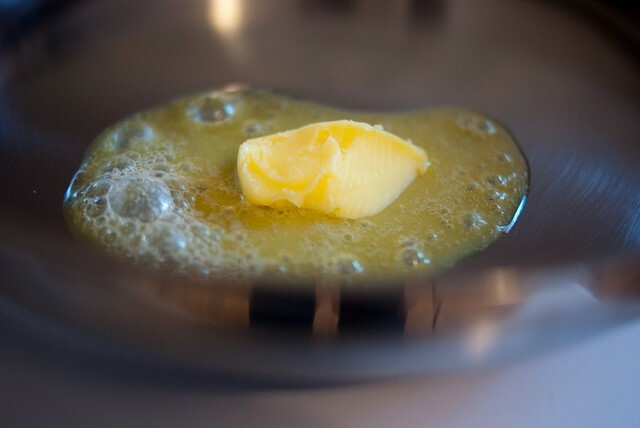 To start off with, let’s take a closer look at how to replace butter, a key baking ingredient. Butter is used to add a rich flavour and moisture to your baked goods. 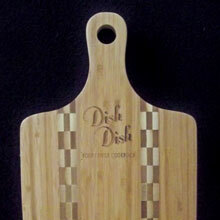 IT can also improve the texture and look of your culinary creations. But even though it is important, it can easily be replaced. Here are some butter substitutes you might want to try. The simplest way of replacing butter when baking is by using a vegan margarine. All you need to do is add the same amount of vegan margarine as you would butter. There are plenty of options to choose from, and you can find them in most wholefood stores. You may have to experiment to see which ones works best. Just remember that not all of them will be suitable for baking purposes so you will need to check this before you buy. Earth Balance Buttery Spread is one of the most widely used butter replacement options. Another option you have when replacing butter is using coconut oil. This can give your bake a creamy texture and flavour, and it’s also cholesterol free. So make sure your recipe compliments this before using it. Otherwise, your outcome might not be as successful as you would like. For every cup of butter, you require, add three-quarters of coconut oil to one-quarter water. You can find coconut oil at most supermarkets and wholefood stores. For more information on cooking with coconut oil, visit the Lucybee website. Milk, like eggs, is primarily used as a binding agent to help your ingredients mix and rise correctly. But it is also used as a means of adding moistures and creaminess to a dessert or cake. IT can also alter the density of your mixtures, depending on what you are making. It’s a vital item that you cannot do without when baking. But thankfully there are plenty of fantastic milk substitutes available for you to use. Take a look at the following examples to find out more. 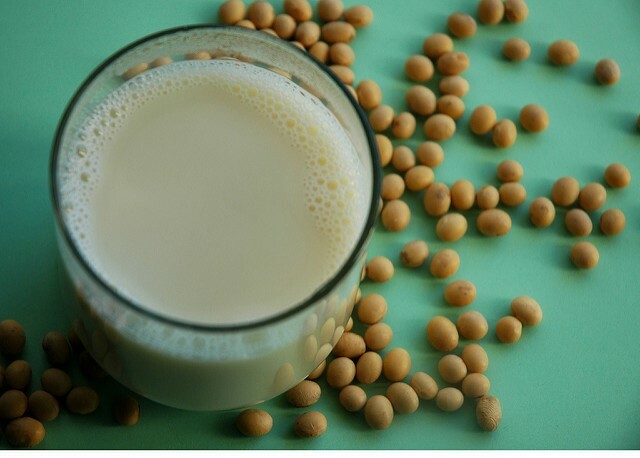 Soy milk is the favourite milk substitute used by vegans as it can often produce the best results. It has a thicker texture which is ideal for any rich desserts you intend on making. It is also said to be the closest thing to cow’s milk, which can help make your transition easier. Use one cup of soy milk for every cup of milk that is recommended in your recipe. Add this straight in with your other ingredients, like you would normal milk. 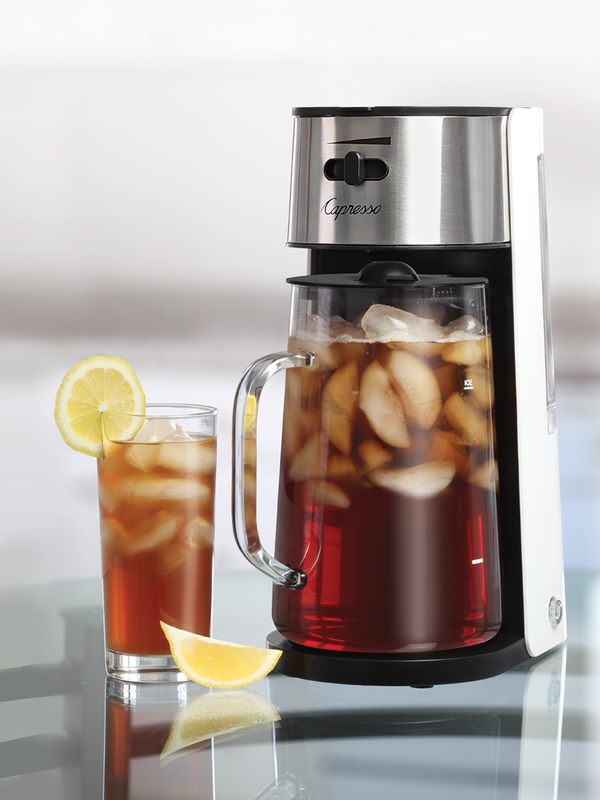 This can then be used to create sponge, fillings and toppings of your choosing. Another option you have for heavier and richer desserts is coconut milk. Both of these can be found at most supermarkets and organic food stores. Almond milk is another excellent milk alternative that you can use in your baking. It’s creamy texture, and nutty flavouring makes it ideal for baking. As it names suggests, it is created using ground up almonds. It also has a lower calorie content that most other milk options. So if you want a sweet treat and want to lose weight, this is the option for you. Follow the same ratio as the soy milk, using one cup of almond milk for every cup of milk. With all of these milk substitutes, it’s important that you opt for unflavoured options. Many vegan-friendly kinds of milk have flavourings added to them to improve the flavour. But this could disrupt the intended flavours of your other ingredients. You should also look for unsweetened as this can also alter the sugar content of your bakes. 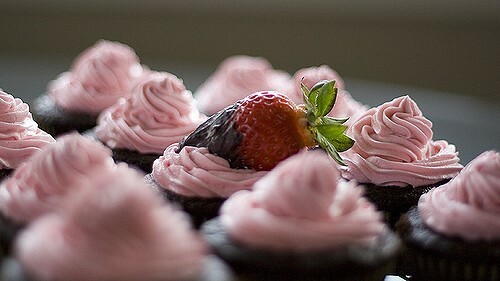 The last thing you want is for your cakes and bakes to be too sweet to eat. Whether it’s for fillings, decoration or flavour, chocolate and baking have always gone hand in hand. There are many different types you can use in both bar and powder form. But not all of them are vegan-friendly. 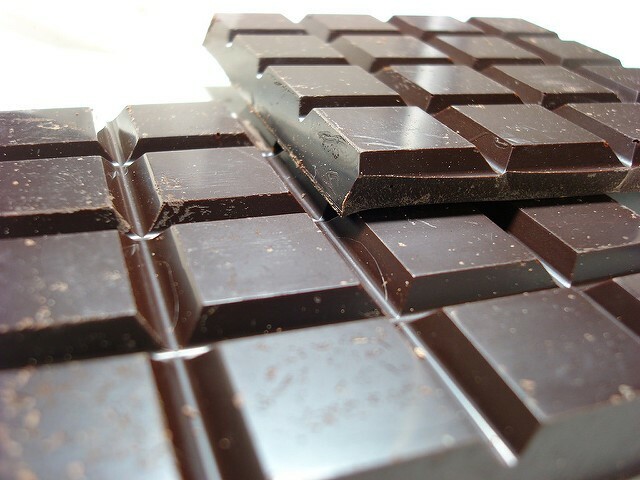 You might be surprised to find out that some dark and cacao chocolates contain traces of dairy products. So unlike when you have used chocolate in the past, you need to be more careful now you are a vegan. Get clued up on vegan chocolate brands such as Green & Blacks and look for useful guides on the PETA website. This can help put your mind at ease and make shopping for suitable chocolate products much easier. Even though these products are all suitable for vegan baking, you need to get into the habit of always checking the labels. The majority of products that are suitable for vegans to consume will have the vegan symbol on their packaging. Some will also have ‘suitable for vegans’ printed onto them too. But not all of them will so you need to be vigilant. Take the time to triple check the ingredients used. That way you know that everything you create has no eggs or dairy used at all. Go online and visit vegan websites to get advice and guidance on where you should shop for baking supplies. This will be a valuable insight that can make the process more enjoyable and less challenging. As you can see, being a vegan doesn’t mean you have to give up baking or to enjoy your baked creations. It won’t take long to discover that your desserts and cakes taste just as delicious without the use of milk or eggs. Granted, you will need to experiment and find the substitutes that work successfully for you. But that is all part of the fun. Start looking online for new vegan-friendly desserts, cakes and bakes you can try using your new-found knowledge. There are some great prizes! I see some I would like. My favorite type of books to read are cozy mysteries. I am always looking for new authors and series. Show Time is the first book in the Dodie O’Dell Mystery series. I really like Dodie. She moved from the Jersey Shores to Etonville – a big change for her. She was managing a restaurant that was based on the community theater. Romeo and Juliet was the show that was being cast and Dodie was helping out. Who knew they would find Romeo’s body on the loading dock? What happened? Will Bill and the police department need help in solving this mystery? 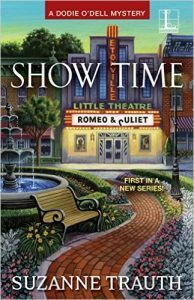 I found Show Time a fast read – and one I didn’t want to put down. I am sure you will love this book as much as I did! I can’t wait till the next book in the series – Time Out. When applied daily, will encourage hair to grow thicker, fuller, and longer while improving the overall appearance and condition of your lashes. Swiss Apple Stem Cells encourage hair to grow thicker and longer. It nourishes and renews hair growth at the follicle, which is the only living section of a strand of hair. Naturally, this makes hair healthy and alive. Botanical Complex Tricholastyl® promotes youthfulness of the lashes and brows by helping prevent inflammation, free radicals and glycation which is a triggering factor for hair loss. Myristoyl Pentapeptide-17, a high-tech active ingredient is clinically proven to increases eyelash thickness and length. The New York Biology Eyelash Growth Serum is easy to use and I use it once a day. You just apply it along the skin at the base of the upper eyelashes (where the eyelashes meet the skin) going from the inner part of your lash line to the outer part. I have not noticed or felt any irritation from the growth serum. I have only used it for a short time, but I am looking forward to longer thicker lashes. 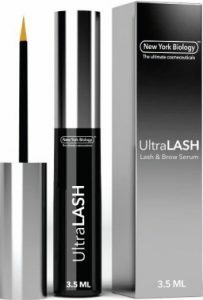 If you would like to purchase your own New York Biology Eyelash Growth Serum you can buy it on the link below from Amazon.com. I use it twice a day in both my morning and evening routines. I like how my skin just soaks up the cream. I have found that the puffiness under my eyes has decreased since using New York Biology Anti Aging Eye Cream. I think with continued use it will even help more. You can purchase your own New York Biology Anti Aging Eye Cream on the link below from Amazon.com. 1. Look For Healthy Snack Options. Most people like to feel that food is an indulgence at some point in the day. Whether you’re looking for comfort foods after a hard day at work or simply have a big sweet tooth, it’s important that the snack options you select be healthy. If you continue to consume junk foods that are packed with empty calories, sugar, salt, and saturated fat, the outcome will be weight gain, lethargy, and several other health issues. As such, it’s important to search for healthy snack options that will satisfy your appetite while also promoting health. Food companies like HamptonCreek can assist you by offering a wide range of great snack options, including peanut butter cookies. In some cases, people overeat and eat unhealthy things regularly without being fully conscious of it. To break this cycle, be sure to get in the habit of keeping a food journal. This strategy will empower you to see exactly what you’re eating each day so that you can know what adjustments need to be made so that you can look and feel your best. Nowadays, you can access free online food journals through websites such as www.cronometer.com. This website enables you to log in your food intake and then analyze key factors such as your micronutrient/macronutrient ratios and caloric consumption. 4. Develop Relationships With Healthy People. We tend to eat the type of food that is consumed by those who are closest to us. As such, make a point to establish connections with other people who are committed to eating nutritious, delicious food. This will help keep you on the path to optimal mental and physical wellness. There are several ways that you can get the process of building healthy relationships underway. One is to go online and see if there are any local meet-ups such as vegan potlucks. 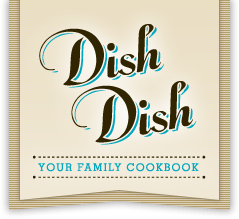 Another strategy you may want to implement is participating in online communities where people who have adopted a healthy eating lifestyle share their passion and recipe tips with other individuals. If you’re interested in optimizing your health, remember that enhancing your diet will play an integral role in helping you realize the goal. Luckily, there are numerous strategies you can implement to start eating better. Some of them include looking for healthy snack options, juicing, keeping a food journal, and developing relationships with healthy people. By implementing some or all of these techniques consistently, you will likely find yourself on the road to a healthier, happier way of life! 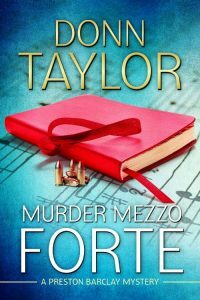 I love to find new authors and was excited to read Murder Mezzo Forte by Donn Taylor. I was not sure what to expect but really enjoyed this book. I liked that it had mystery and romance in it. The story takes place on a college campus and made for a very interesting plot. Even though I hadn’t read the book before this one I didn’t feel that I was missing anything since he did a good job of explaining everything. The book kept me interested right until the end! I can’t wait to read more from Donn Taylor.